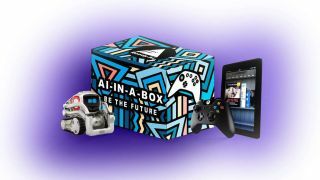 ReadyAI has announced the launch of AI-in-a-Box, a comprehensive AI education solution for K12 teachers and students. Designed for users of all experience levels and abilities, each box provides everything that teachers need to instruct students on how to apply the key concepts of AI to real-world problems – including the curriculum, hardware, and software. The curriculum teaches six key concepts of AI, including visual recognition, facial recognition, object manipulation, landmark-based navigation, speech generation, speech recognition. To learn more about ReadyAI and AI-in-a-Box, visit www.readyai.org.